Today’s conversation is with my dear friend, Jackie Toscas. 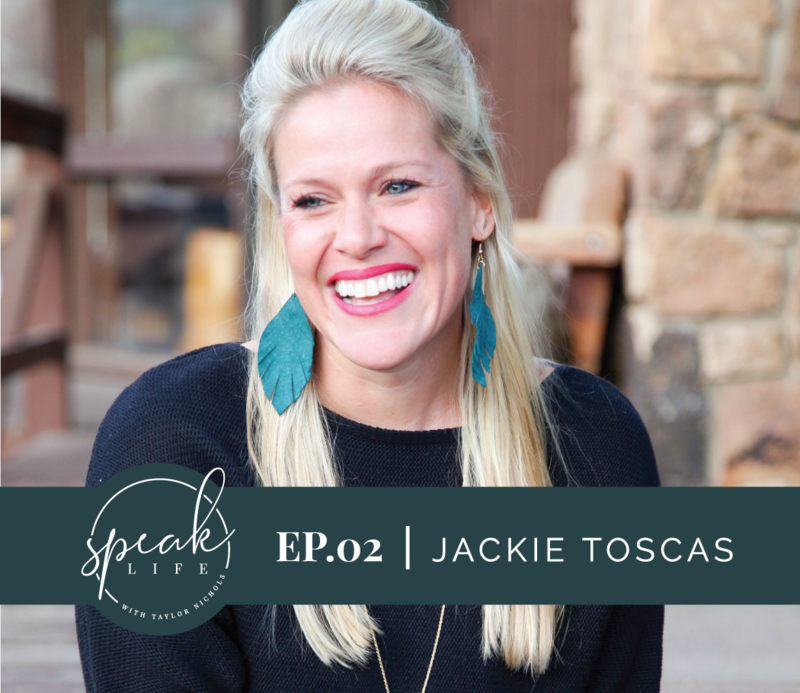 In this episode, Jackie starts out by sharing when she first became aware of human trafficking and the work she did with International Justice Mission. She talked about our time together at Camp Well and what it looked like when she recognized the differences between her “calling” and her “assignment” and how that realization guided her to transitioning out of her role with IJM and into a new season. We talked about her journey through infertility, what it felt like to sit with anger and grief and what it has looked like for her to develop an awareness to see the little signs of hope, even in the midst of her pain. She shares about her experience with IVF, what it felt like to sort out the anger and hold space for the layers of emotions she felt. Jackie also walks us through what she was thinking and feeling when they received the news that she was, at last, pregnant and what it’s been like to walk in the sacredness of this long-awaited pregnancy right now! Jackie grew up in the The Woodlands, a suburb of Houston, Texas. She graduated from the University of Oklahoma. After graduation she moved to the Washington DC area where she has lived for the last 15 years. During those years, she worked at International Justice Mission, the Department of Justice, and the Bush/Cheney Campaign. In January of 2019 she and her best friend of 20 years, Lee Ann, launched a podcast called “Seasons with LA Cool J” – a podcast about the seasons of life we walk through and how life is too short to walk through them alone. Jackie currently serves on the content team at Waiting in Hope Infertility. Through her 5-year journey of infertility, IVF and loss, she has discovered great passion in helping women rediscover God’s goodness through their pain. Jackie has been married to her husband George for almost 7 years and they are expecting their first child in April. Jackie makes you feel like you are the only person in the room when she talks to you and although our friendship has been short in years, it feels old in the ways our hearts have connected so deeply. I’m still waiting for the video of her twerking, but I promise to share it when I get my hands on it!